In a stunning admission, the popular public radio program This American Life has said that a show it ran in early January entitled Mr. Daisey and the Apple Factory, was partially fabricated. The show painted a rough image of life for workers at the Foxconn facilities in China, where Apple produces many of its devices including the iPad and iPhone. Now, it appears as if much of that report was fabricated and TAL has retracted the entire episode. Regrettably, we have discovered that one of our most popular episodes was partially fabricated. This week, we devote the entire hour to detailing the errors in “Mr. Daisey Goes to the Apple Factory,” Mike Daisey’s story about visiting Foxconn, an Apple supplier factory in China. Rob Schmitz, a reporter for Marketplace, raises doubts on much of Daisey’s story. The program was largely based on a story by performer Mike Daisey about a visit he made to Foxconn. Host Ira Glass will speak with Daisey about why he misled the program during the fact-checking process. There will also be a segment dedicated to the facts surrounding Apple’s production facilities. The program, along with a series of articles in the New York Times that was in the works before Daisey’s appearance, led to a mass of attention towards Apple’s production facilities in China. 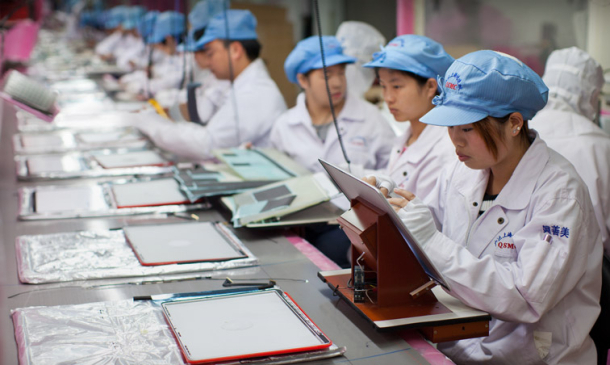 The series of New York Times articles including How the U.S. Lost Out on iPhone Work and In China, Human Costs Are Built Into an iPad, have not been retracted. That goes for Joel Johnson’s 1 Million Workers. 90 Million iPhones. 17 Suicides. Who’s to Blame? article in Wired as well. Daisey defends his actions, saying he used lies about some aspects of Apple in order to represent the ‘totality’ of his experience in China. Read next: Want to trap your friends inside your phone? Here's how.